Located in Beji village, Junrejo subdistrict, the area was developed by communication science students of Malang Muhammadiyah University (UMM) in collaboration with the Jatim Park Group. UMM’s rector Fauzan said along with becoming a tourist destination, the Tempenosaurus Green Village is expected to be a tempeh-producing center. Its unique name came from its close proximity to the theme park Jawa Timur Park 3, which has a Dino Park ride. 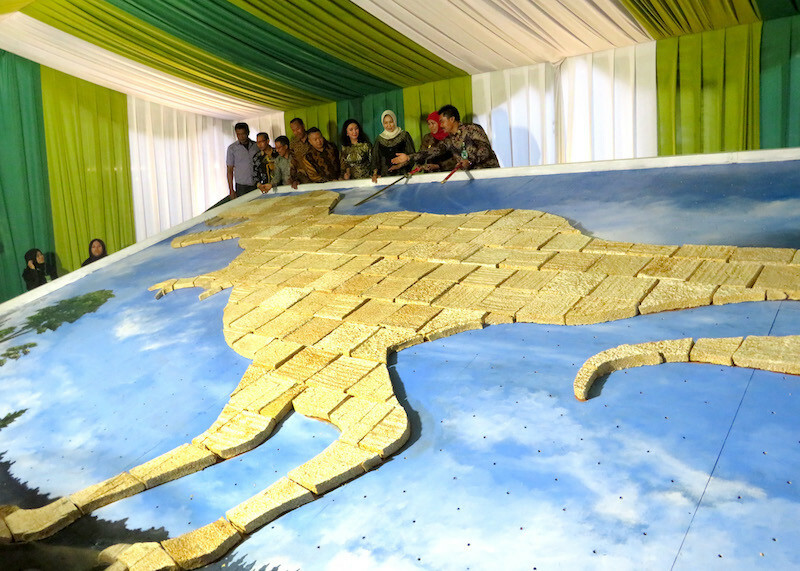 The village was inaugurated by East Java Governor Khofifah Indar Parawansa on Saturday, marked by the cutting of a 7-meter-high dinosaur replica made from tempeh. "Tempenosaurus Green Village initiated a project of building based on humanity, as the ideal development is people-centered development,” she said. The dinosaur replica was recorded in the Indonesian Museum of Records as the biggest one made of tempeh. 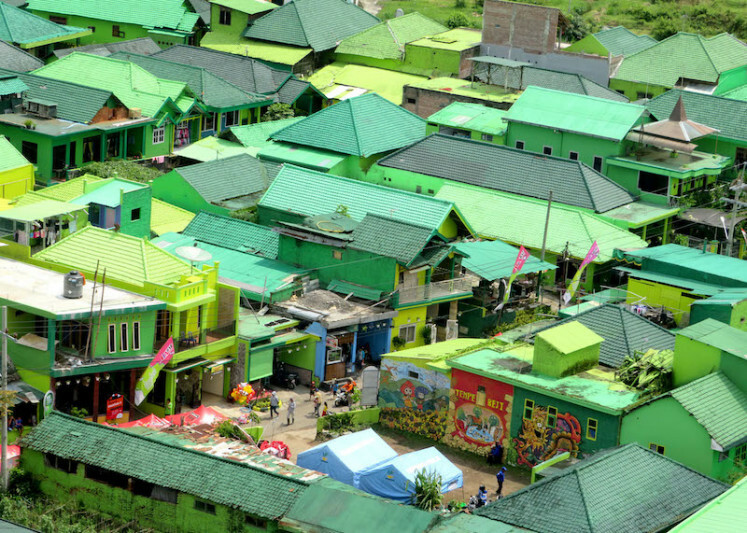 UMM’s rector Fauzan said prior to the new project, the university and Indana Paint had worked on the Jodipan Colorful Village in Malang, East Java. What was once a slum is now a wonderful area, while its residents actively take part in keeping the place clean.